Please let me live car magnet. 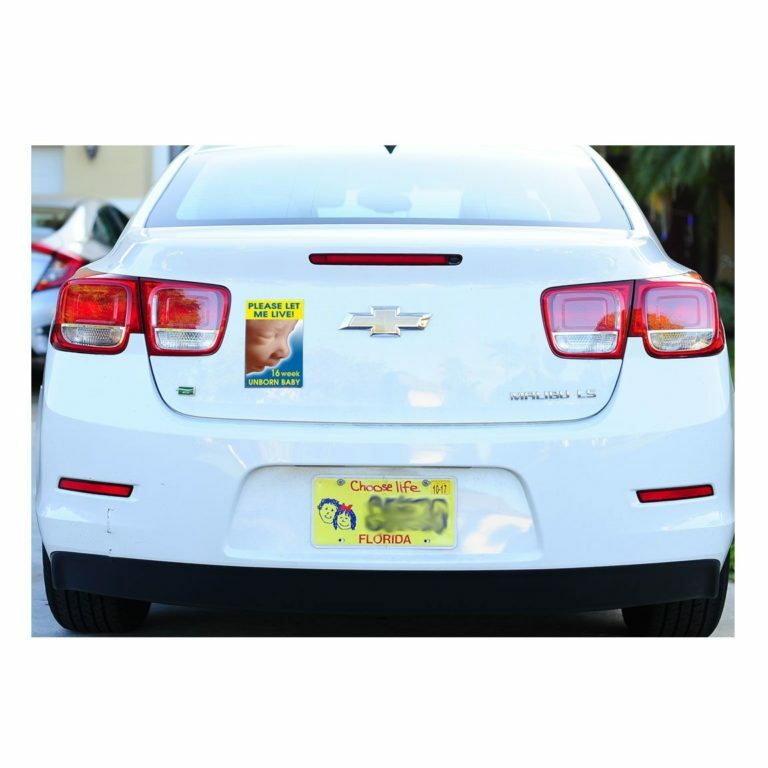 Car magnets speak volumes, and we don’t have to say a word. However, remember in order to effectively empower the Holy Spirit to speak through your magnets make sure you pray for those who see your sign so they can hear God speak to them. There is nothing more powerful than prayer. 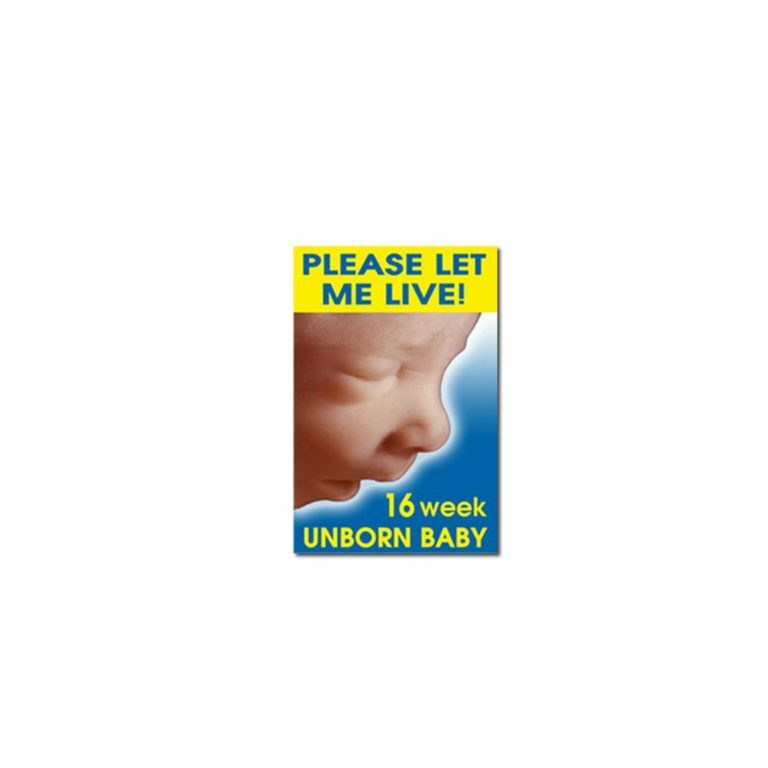 Small yet effective at showing the humanity of the baby along with a pleading message of love.